The Hainosaurus was a large marine reptile that existed on the earth in the late Cretaceous period. It was present in the oceans of Europe and probably Asia about 85 to 60 million years ago. This time period lies in the Campanian and the Maastrichtian ages of the late Cretaceous period. 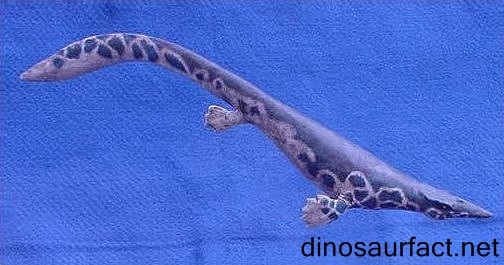 The Hainosaurus belongs to family Mosasauridae. This group contains vertebrates which are evolved from semi aquatic scaled reptiles or squamates. Mosasaurs were large marine predators and the Hainosaurus was amongst the largest Mosasaurs. The length of the Hainosaurus was about 40 to 45 feet. During the time of its discovery, it was believed to be much larger. But recent research has shown that probably was not as long as previously believed. The Hainosaurus was a carnivorous reptile. In fact it was at the top of its food chain during the peak of its existence. Very few of its contemporaries could challenge its size and strength. The Hainosaurus was named after the Hainaut province of Belgium. The pilot specimen of the organism was discovered here. The suffix ‘saurus’ is derived from the Greek work ‘sauros’ which means ‘lizard’. Thus the name Hainosaurus roughly denotes the ‘the lizard hailing from the valley of Haine’. The species name Hainosaurus bernardi is derived from the name of the individual who owned the quarry from which the remains of the creature were discovered. Leopold Bernard, the owner, was very helpful during the excavation and hence the type species was names in his honor. The christening of the fossils was done by scientist Louis Dollo. The Hainosaurus is classified under class Sauropsida, family Mosasauridae and sub family Tylosaurinae. When it was first discovered in 1885, it was believed that it existed all over Europe and North America. There were other sub species attributed to genus Hainosaurus. However, it was subsequently found out that the Hainosaurus was smaller than first thought. The North America species Hainosaurus neumilleri was later grouped under the genus Tylosaurus. 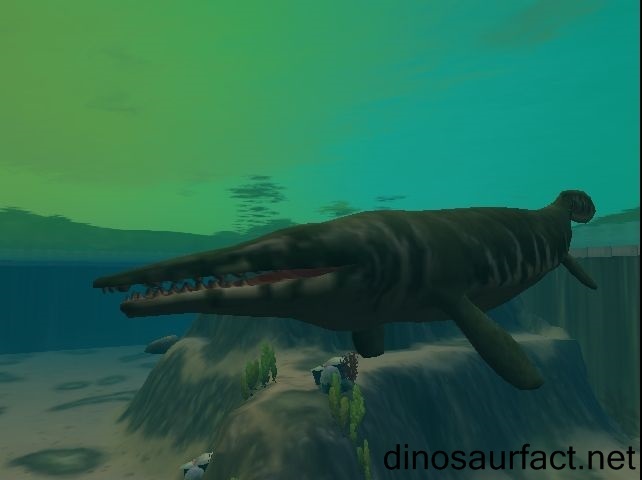 The family Mosasauridae was defined a few years before the discovery of the Hainosaurus in 1853. But the sub family Tylosaurinae was described a decade after the Hainosaurus remains were uncovered. The remains of the Hainosaurus were discovered in one of the Ciply chalk quarries in Belgium in the year 1885. These quarries mined phosphate chalk which was used as a building material. This region is now called the CiplyMalognePhospahtic Chalk Formation. The owner of the quarry was very generous in allowing scientists to properly harvest the Hainosaurus bones and he ensured that the remains were undisturbed. Paleontologist Dollo had greatly appreciated his assistance and patience and thus named the type species after him. The remains of the Hainosaurus were almost complete with the exception of certain dorsal and lumbar vertebrae. The absence of the spinal segments was the reason for the over estimation of the size of the Hainosaurus. Its skull was well preserved. The extremities, ribs, pectoral and pelvic girdles were also fairly well preserved. The Hainosaurus had many vertebrae that had chevrons, which protected the delicate blood vessels and nerves around them. However, its tail was slightly short as it had less number of vertebrae with chevrons. It is unlikely that an animal the size of the Hainosaurus will lack the protection of chevrons on the underside of its tail. The bones of the Hainosaurus are currently housed in the Royal Belgian Institute of Natural Sciences. Louis Dollo was a Belgian scientist who was born in France. His work had involved the evolution of species, along with dinosaurs and other vertebrates. Dollo has postulated a hypothesis which stated the once an evolutionary change has occurred, it cannot be reversed. This idea is now accepted as Dollo’s Law. The Iguanadon exhibits in the Royal Belgian Institute of Life Sciences were extensively supervised by Dollo. He was an assistant naturalist in that institute when then Iguanadon skeletons were being mounted. Dollo has also authored numerous books on zoology and paleontology. The size of the Hainosaurus has been a matter of debate since the time of its discovery. Its length was estimated to be around 55 feet when it was first studied. This was larger than any other known Mosasaurs and thus the Hainosaurus was considered to be the longest mosasaurid for a very long time. During the late nineteen hundreds, its length was judged to be around 50 feet. It was further reduced in the coming years and currently it is believed to be close to 40 feet. The Tylosaurus was considerably larger than the Hainosaurus. It most likely lacked a dorsal fin. The neck of the Hainosaurus was very strong and it likely subdued its prey with the help of its strong pectoral muscles. The Hainosaurus had a tail which was very thick and sturdy and it was almost one third its body size. The Hainosaurus was a meat eating vertebrate like other Mosasaurs. It preyed on the other Cretaceous marine animals such as plesiosaurs, pleosaurs, turtles, squids and sharks. 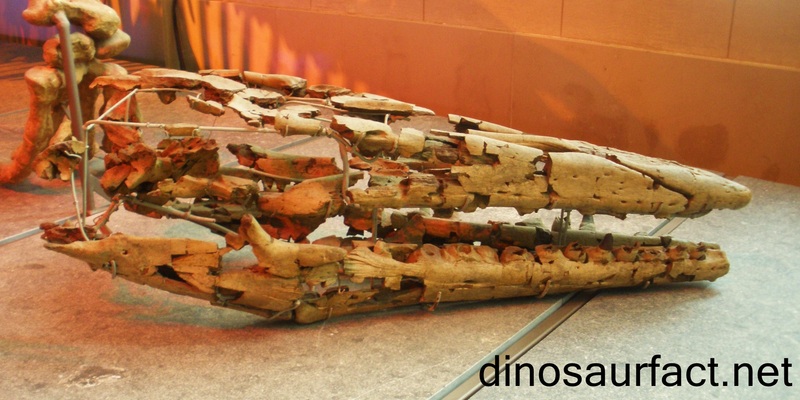 It even predated other smaller Mosasaurs. It probably made use of its tail for propulsion and defended itself from other specimens of its kind with it. 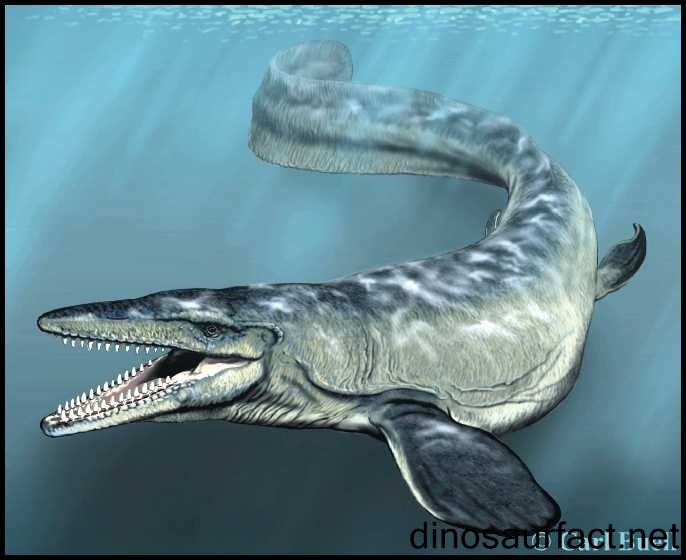 The Hainosaurus resided in deeper waters like other mosasaurids. The scarcity of its fossils also indicates the same. It is unlikely that the Hainosaurus ventured into very deep waters as its size may not have allowed it. The Hainosaurus was related to the other members of the sub family Tylosaurinae, namely the Tylosaurus and the Taniwhasaurus. All of these reptiles were similarly built and had comparable hunting techniques. The Hainosaurus shared its environment with other Mosasaurs, sharks, turtles, teleosts, ammonites and sea urchins. The Hainosaurus was amongst the largest marine creatures of the late Cretaceous period and also one of the biggest aquatic vertebrates of all times. It was a dreaded predator and probably the strongest of its time. The discovery of the Hainosaurus helped locate the place of other Mosasaurs like the Tylosaurus in the taxonomic tree.